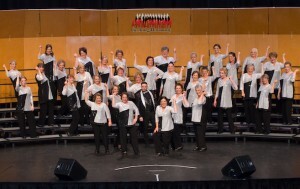 Geelong Harmony rehearses every Monday night 6.45-10.00pm at the Western Heights Uniting Church hall, Douglass Street, Herne Hill. 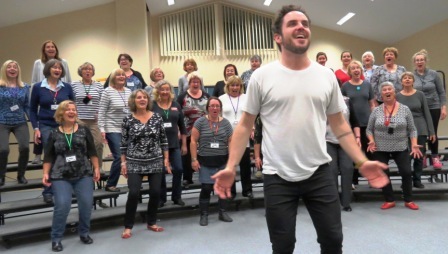 If you love fun and seriously good singing, come along. We’d love to meet you. For more details Contact us or go to our Membership page. Geelong Harmony has returned from competition at Wrest Point in Hobart with a fourth place medal out of a field of 23 participating choruses from across Australia. The Chorus also gained third place in a field of 13 in the medium chorus division. A panel of four International judges awarded a total score of 592, the highest ever achieved by Geelong Harmony. This is 39 points up on the score the chorus achieved at the 2017 Convention in Perth. Thank you to our bass, Debbie Scott, for creating the thumbnail photograph for this news post. 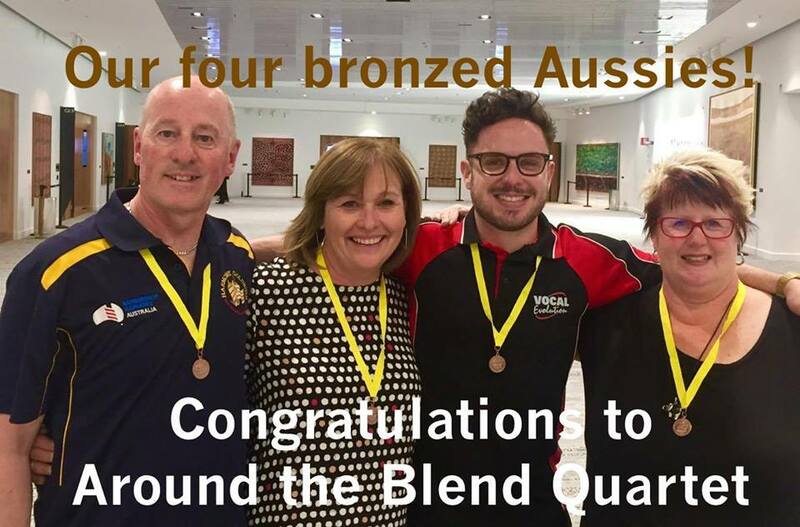 Around the Blend quartet, (from left to right) Rodney Stow, Debbie Scott (Geelong Harmony bass), Alex Morris (Geelong Harmony Musical Director) and Michelle Stow (Geelong Harmony Assistant Musical Director and lead singer) have returned from Sydney with third place in the Barbershop Harmony Australia mixed quartets competition and fifth place in the Pan Pacific contest. Congratulations to this talented team who are a big part of the Geelong Harmony family. 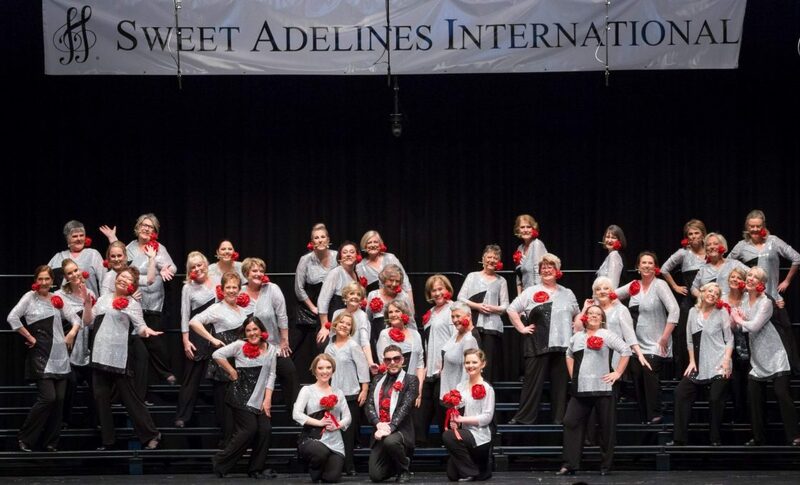 Geelong Harmony Chorus has returned triumphant from Perth where they competed in the national chorus contest of Sweet Adelines Australia. They placed second in their division – mid-size chorus with 31–60 singers (they had 33 singers on stage) – and were thrilled with their newest medal!